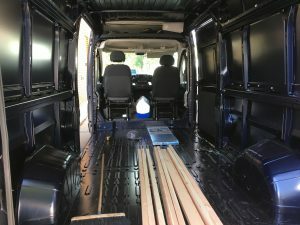 I thought it would be helpful if I provided a general overview of the conversion process that I undertook when designing and building our first ProMaster Camper Van prototype vehicle. It’s easy to spend an endless amount of time pre-planning your build, what items and conveniences you deem are necessary for your own personal needs. ProMaster Cargo Van Rear Storage Area filled with 2x4s – A new project ready to get started. For me, the reason I started this project was to achieve a higher degree of freedom. Although there are plenty of trade-offs, the ability to park your house every night allows you to have a more variability in your life. Want to go to Arizona for the week? Florida? Minnesota? You’ve got a place to stay. That’s all to say that this was a ticking time bomb: A van in the driveway with no real plan on how the build was going to go. Dive into the problem. Sitting inside an empty van is a great place to get inspired. I’ll fill these posts in with links as they become available. 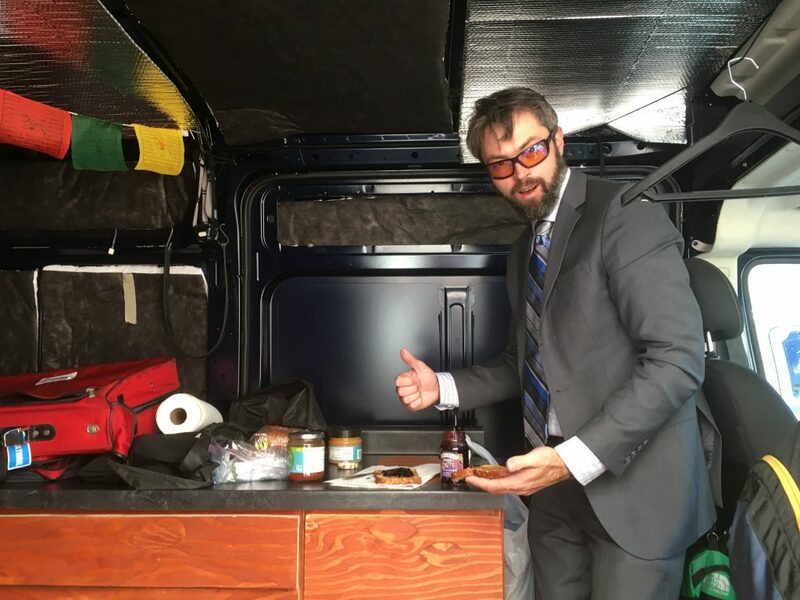 PBJ’s in the van: Very convenient!